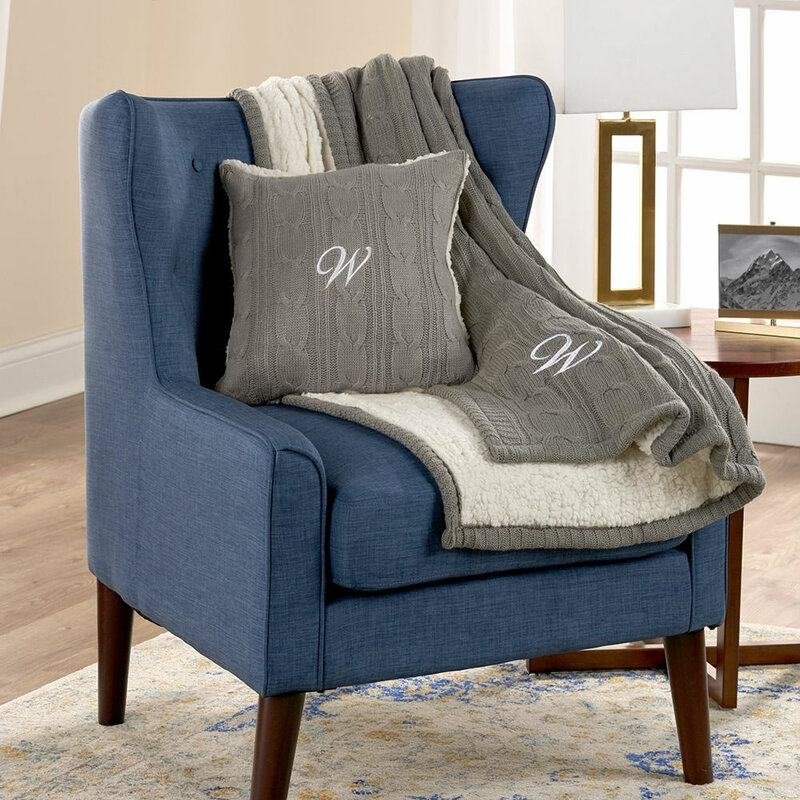 This is the cozy cable knit chenille throw made all the more elegant with your initials embroidered on its corner. Ideal as a snuggling companion on a chair or sofa, or as an extra blanket on a chilly night, the all-season throw has a soft sherpa lining that envelops you in luxurious warmth. With 100% polyester micro-chenille face and 100% polyester sherpa lining. 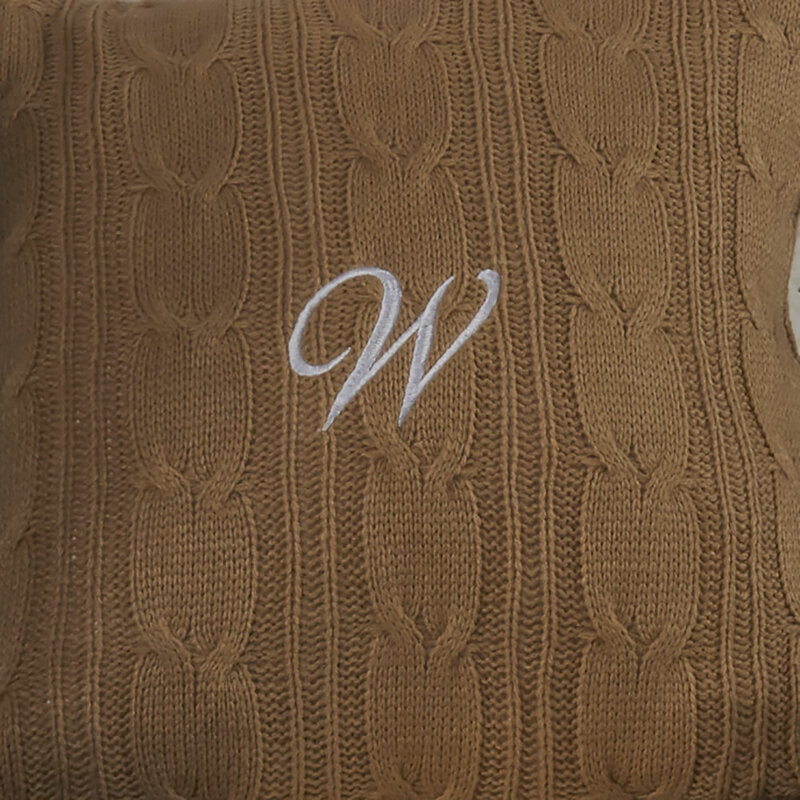 Embroidered with up to three 2" H script initials in white thread. Machine wash. Camel or Gray. 60" L x 50" W. (4 lbs.) Pillow Sold Separately.